Tami Roman Goes In With Assistant Editor Yemisi Adedipe! 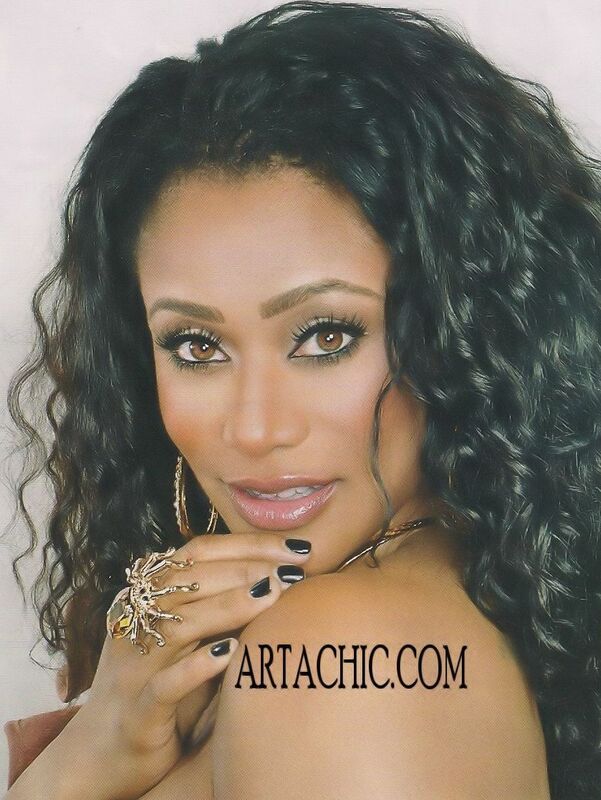 Tami Roman gets real with UK assistant editor Yemisi Adedipe for The Black Hair Style Bible Magazine. See what the beautiful outspoken Tami Roman had to say about her life and what she is really known for. How does it feel to have people you know nothing about know intimate parts of your life? (Laughs) I know I’ll laugh in the mall and strangers will be like “Tami? !” (laughs). It’s a blessing and a curse. For people the love me it’s a blessing. They come up to me all the time and tell me how much I inspire them or whatever the case may be. An it could be a curse because someone may not like me and they could walk up to and smack me and I wouldn’t know who they were! Can you tell our readers what you are known for? I’m known for a show originally call the the Real World, that’s how I started in the whole reality genre. And from that show I kind of spiraled into acting, doing shows like Steve Harvey and The Parkers and a show called Moonlight. Then I decided that I would make a return back to reality TV and now people can find me on Basketball Wives. My involvement in Basketball Wives comes with me being formerly married to professional basketball player Kenny Anderson. I’m a mother, I have two daughters that people see on the show, Lyric and Jazz. Why did you decide to go back into reality TV? My family had fallen on a hardship about three and a half years before I actually came on to Basketball Wives. I decided that ‘hey, I have a story to tell’, I was watching Basketball Wives and everybody was getting manicures and pedicures and riding in fabulous cars, rocking Louboutins. Though that had been my life, it wasn’t my life at that moment, and so I felt that it was a valuable perspective to bring to the show. Do you watch other reality shows? I watch Real Housewives of Atlanta and I watch Love & Hip Hop which is on VH1. I watch The Braxtons, Tamar is a good friend of mine. What draws you to them? Well I’m just like everyone else. As humans I feel like we’re all narcissistic by nature anyway. So you just want to see I’m not the only one going through this, I’d rather watch you go through it and not have to deal with my situation or you going through it helps me with my situation. I’m a fan of Toni Braxton so it’s entertaining for me to see what’s going on in her family’s life. Honestly, people put too much on reality TV. Reality TV in general is mindless entertainment. It’s not for you to try to use us as teaching tools for your children. But I will tell you this: Basketball Wives does not represent every single black woman on the face of the planet. It represents the six women that are on the show, our actions and the way we handle things. There are a lot of things we tape each season which just don’t make the cut. I have a girls charity I’m heavily involved with, which I tried to introduce to the show. VH1 chooses not to show certain things because it’s not drama-filled. Do you agree with the ‘Think like a man, act like a lady’ philosophy that’s going on now? I think that you should think like a lady and act like a lady when it calls for it. That concept implies that there are certain games and tricks and mind games that people use on each other. I’m not a fan of games, I believe in honesty and if you can’t be that way with me then we don’t need to be together. I don’t need to think like a man in order to keep you. You need to be 100% honest with me and that’s how we will have a lasting relationship (laughs). And there you have it. The REAL TAMI ROMAN. Should Tami Roman have her very own reality show? Whose That Girl In United Colors Of Benetton’s Fall 2012 Ad Campaign? 1 reply to Tami Roman Goes In With Assistant Editor Yemisi Adedipe! Tami, I don’t understand why you caleld Jennifer burgeois because she had never seen a food stamp. I’ve never seen a food stamp either and a lot of people haven’t. I’m not saying that makes me better than you but to fight over foolishness like this is unfortunate. I am African American and your behavior and the other women’s behavior is disgraceful and an embarrassment to black women. There are a lot of ignorant people who generalize that all black women act like angry, bitter foul mouth thugs and when they see you act like that, you are just validating what they already believe. Please stop drinking and try to act like a dignified lady and be a positive example for your children, not a cliched angry black chick like you were on the Real World.